Portsmouth have not featured in Sky Bet League Two’s automatic promotion places since the end of September but they can move to within a point of the top three by beating leaders Doncaster at the Keepmoat Stadium. Opposing Doncaster is not something to do lightly this season as Darren Ferguson’s men have adapted well since relegation from League One last term and have been almost unstoppable in home games, taking 30 points from a possible 36. However, Rovers have had a tough schedule, playing seven matches since the start of December, and have not looked at their best in recent outings. They needed a 77th-minute Liam Mandeville penalty to rescue a 1-1 draw in last Saturday’s clash at Mansfield and an 86th-minute Fraser Franks own goal to topple Stevenage 1-0 on Monday. Doncaster backers may be concerned about possible fatigue and the clash with Portsmouth could prove a tough assignment unless the home side are close to the peak of their powers. Pompey have played just five times since the start of December and haven’t lost any of their last eight away games. Portsmouth’s preference for playing on the road goes back to the start of last season. Since the summer of 2015 they have averaged 1.75 points per game on their travels and only 1.68 per game at Fratton Park. Portsmouth have not been as dominant as they would have liked in home games where they often struggle to break down massed defences. However, they seem to appreciate the extra space they are afforded in away matches and are delivering the goods. Paul Cook’s side also appear to flourish on the big occasions and have won four, drawn two and lost one of their seven games against the other teams currently filling the top seven positions. They are far from the finished article, though, and a prolific striker must be high on their January shopping list bearing in mind that winger Gary Roberts is their top league scorer with seven goals. Doncaster have the better attacking options with impressive trio Andy Williams, Mandeville and John Marquis competing for the two berths up front. Mandeville’s performances – he has contributed seven goals and four assists in 18 league games – have been enough to attract reported interest from Swansea and give Ferguson a welcome selection headache. Williams – Donny’s top scorer last season – was left out of the starting line-up for Monday’s victory over Stevenage but would walk into any other team in the division. But while Donny have excellent strikers, Portsmouth probably have the better midfield. They tend to dominate the vast majority of their matches in League Two and may just have the edge against Donny. Probable line-ups - Doncaster (3-5-2): Marosi; Baudry, Butler, Mason; Blair, Coppinger, Houghton, Grant, Rowe; Marquis, Mandeville. Subs: Middleton, Keegan, Williams, Wright, Alcock, Beestin, May. 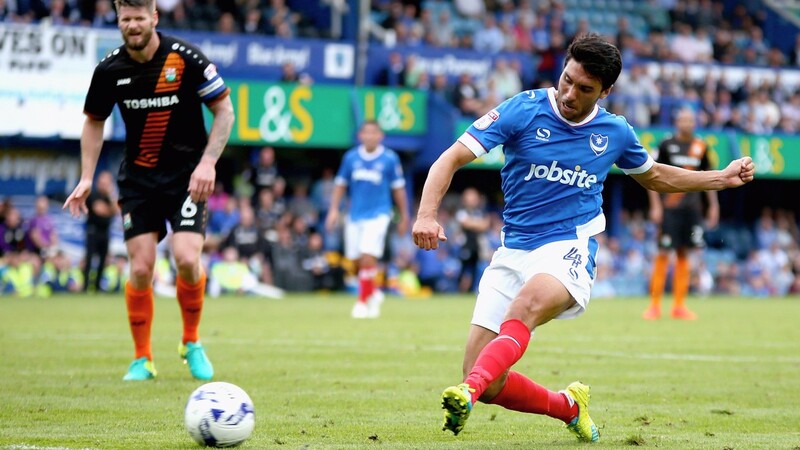 Portsmouth (4-2-3-1): Forde; Evans, Burgess, Clarke, Stevens; Rose, Doyle; Baker, Naismith, Bennett; Smith. Subs: O'Brien, Linganzi, Hunt, Roberts, Whatmough, Lalkovic, Chaplin. Frazer Richardson has been released and Riccardo Calder has returned to parent club Aston Villa. Portsmouth have no fresh injuries and Paul Cook could name the same 11 who started Monday’s 1-0 win over Luton.